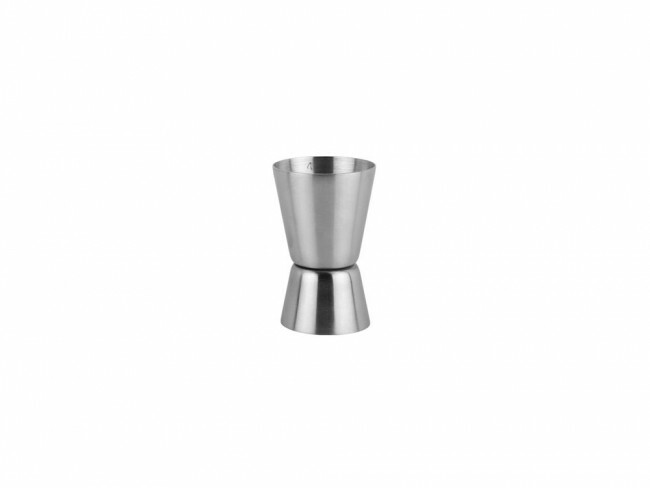 Matted stainless steel jigger with a 30/50 ml scale division on the inside and outside. Dishwasher safe. Japanese model measuring glass with a scale of 14/28 ml. This Japanese measuring glass is made of matte stainless steel. The Bar Collection is Leopold Vienna's own unique design! Measure the right amount of liqueur with this design jigger! A beautiful addition to any bar due to its playful slanted lines. The jigger is crafted in matt stainless steel. Available in 20/40ml and 30/50ml versions. Matted stainless steel jigger with a 20/40 ml scale division on the inside and outside. Dishwasher safe.